Next time you’re at the grocery store, take a peek at the oranges. One of the most popular types available in many produce sections year-round is the navel orange. Chances are pretty good that you’ve eaten a navel orange or two yourself. They’re seedless, sweet and juicy. Mmmm! What’s even better is that like other citrus fruits, they’re really good for you. 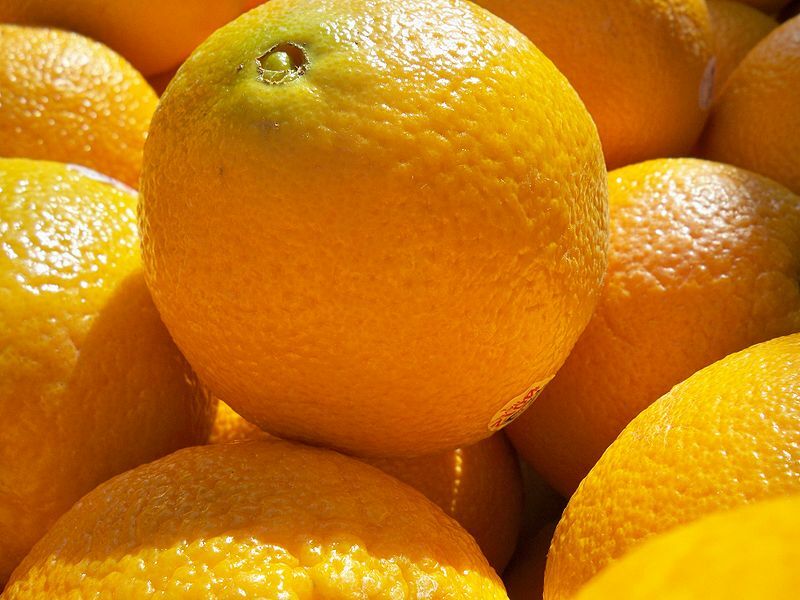 Navel oranges are loaded full of vitamin C, fibre, beta-carotene, calcium, potassium, magnesium, and vitamin B6. That’s a whole lot of good in one tiny little fruit! But what really makes the navel orange so darn special? There are many, many different kinds of oranges, afterall. Well, not only is the navel orange full of vitamins, minerals and deliciousness, but it’s full of science and history, too! Believe it or not, every navel orange you’ll ever see originally came from one single plant: a mutant tree on a plantation in Brazil in 1820. A mutation is a change in the DNA of a plant or animal. DNA is what makes up a plant or animal’s genes, which carry the instructions needed to determine its characteristics or traits. And genes are passed down from parent plants or animals to their offspring. Most mutations occur by chance. A mistake happens when DNA is being copied from the parent organisms to make the offspring. Sometimes, a mutation does not affect the plant or animal at all. Other times, it can have a bad affect. And sometimes, a mutation causes a positive change in the plant or animal: like the navel orange. These new, mutant oranges that suddenly appeared on a tree in Brazil were extremely sweet, juicy, and best of all, completely seedless. They were a hit! But a big reason for their popularity also presented a problem: since they were seedless, farmers couldn’t simply plant seeds to get new navel orange trees. Instead, they cut buds from that first tree and grafted them on to a regular orange tree so it would grow navel oranges too. Cuttings were taken from the new trees and grafted onto other trees, and so on. Every navel orange in the world today comes from a bud that was grafted from that original tree from Brazil in 1820.
Who knew there was so much more to the navel orange’s story than just its delicious taste! You actually managed to make an orange sound interesting.. Now I want one! « Strength in numbers: animal group names.